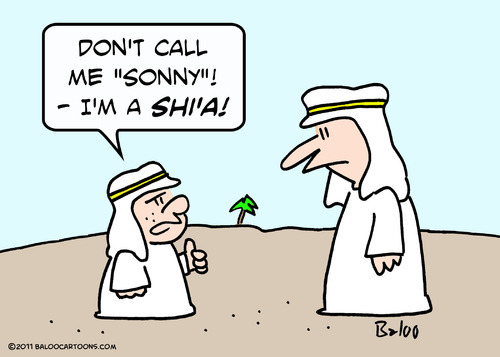 Shia Alawites Versus Sunnis in Syria. Muhammad designated Ali and his descendants as the prophet’s rightful successors to lead the Muslim community. The first three caliphs were illegitimate tyrants. The rightful successors to Muhammad are the most qualified leaders as chosen by the Muslim community. Ali was the divinely inspired First Imam chosen by Muhammad. Up to 12 Imams who were descended from Ali came after him. The Imams were saintly figures who taught right behavior after the time of Muhammad. The sources of Islamic law (Sharia) are the Koran, Sunnah, and Imams. The sources of Islamic law are the Koran and Sunnah. There is no formal clergy structure. Religious scholars interpret Islamic law by consensus to guide the lives of Sunnis.